As you may know, as of yesterday, NYX cosmetics are on sale at Hautelook. The sale ends tomorrow so I thought I’d share my top picks on these discounted goods. In my opinion, NYX eyeshadows are comparable to MAC for a fraction of the cost. Hautelook is a member’s only daily deals website and frequently has great beauty products, among other categories. 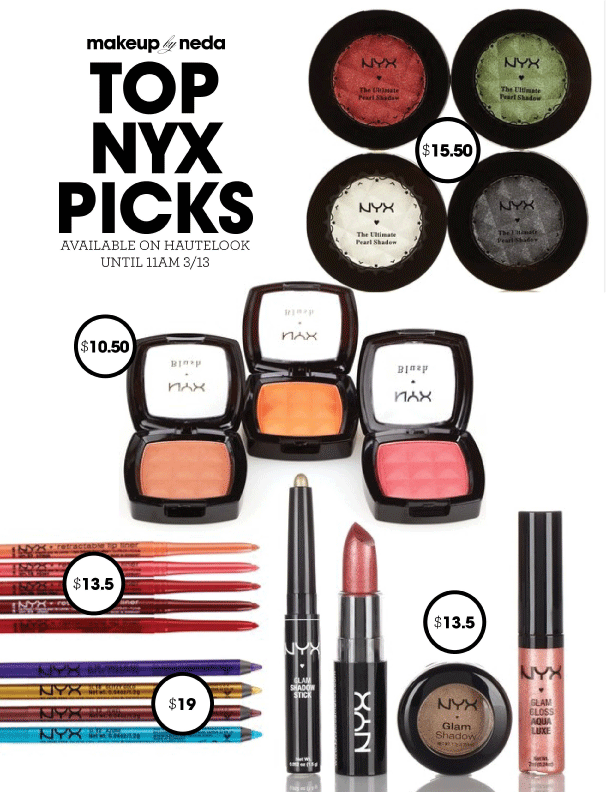 If you’re interested in viewing the NYX sale or checking out what else they have, click here to sign up! Do you have any faves from the line? I’d love to know what they are, and if you end up buying anything! 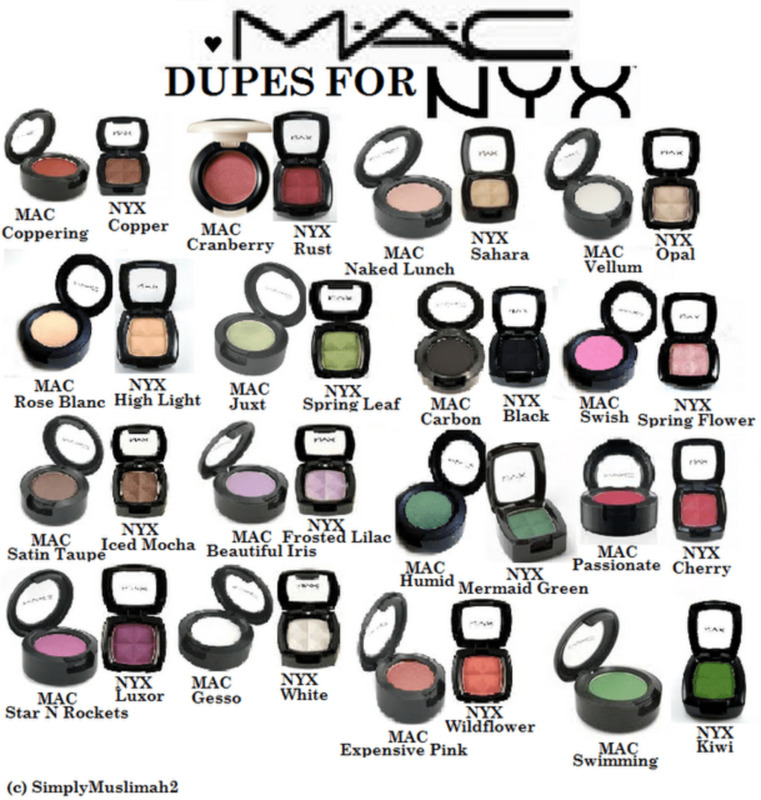 Tags: design-graphics, hautelook, MAC dupe, NYX, sale. Bookmark the permalink. Man I just spent $20 on the stila eye liner marker on sunday! http://www.sephora.com/stay-all-day-waterproof-liquid-eye-liner-P253818 and a pack of 4 here is for $20 its got a pencil a marker..pretty much everything i need! haha so i guess I’ll be going back to sephora for a return! Oh man! You’ve gotta let me know how you like your items when they come in! Sania how did your liners end up working out? !